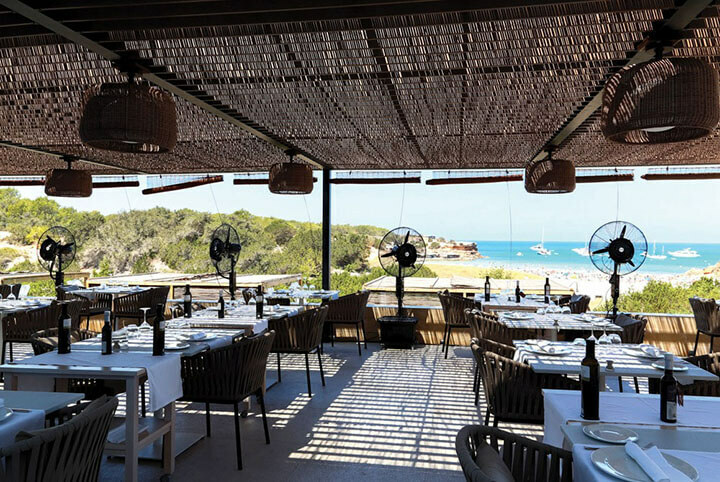 Guests arriving at the Restaurant Sol Post, set on the beach front at Cala Saona, are greeted by a scene of extraordinary beauty set against the backdrop of the turquoise waters that surround Formentera. This applies equally whether they have stopped by for the traditional island cuisine on its lunchtime menu, or to watch the breathtaking sunset which, from April till early November, attracts those eager to enjoy the gastronomic pleasures of dinner, with creative, sophisticated cuisine and the opportunity to try the tasting menu designed by our chef Borja Molins and his team. On the covered terrace of the Hotel Cala Saona, the quality of the ingredients, in addition to the excellent standard of service, are the features that define us; we endeavour to offer all our customers an exceptional culinary and sensorial experience in this privileged setting where we are fortunate enough to work and to enjoy our great passion.